Located in Cape Girardeau, Missouri, Auffenberg Hyundai of Cape Girardeau offers a comprehensive auto parts department stocked with all of the quality OEM parts you need to keep your Hyundai car or SUV running for years to come. 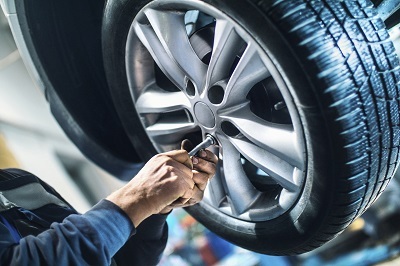 When you choose the genuine Hyundai parts available at our dealership, you can drive with confidence knowing that every part used to service or repair your vehicle was made specifically for your vehicle. For our customers, this translates into quicker repairs and the satisfaction that comes with choosing only the best auto parts and accessories for your vehicle. Whether you drive a new Hyundai Santa Fe or a used Hyundai Sonata, get the quality auto parts you've been searching for at Auffenberg Hyundai of Cape Girardeau. Order Hyundai Parts at your Cape Girardeau, MO Hyundai Dealership. Maybe you're looking for performance part upgrades to customize your new ride. Maybe you need certified replacement parts to repair your current vehicle. Whatever the case, we're sure to have the OEM parts and accessories you need at Auffenberg Hyundai of Cape Girardeau. From genuine Hyundai brake pads, exhaust and suspensions to OEM radiators, headlights and oxygen sensors, all of the parts and accessories available at our Cape Girardeau auto parts department are designed to fit perfectly with your vehicle - ensuring manufacturer specific quality is always maintained! For inquiries about a specific part, please free to contact our auto parts department. Otherwise, we encourage you to use our convenient online form or stop by Auffenberg Hyundai of Cape Girardeau to order the auto parts and accessories you need today!